HomeAbout us Experience Sustainability with us! 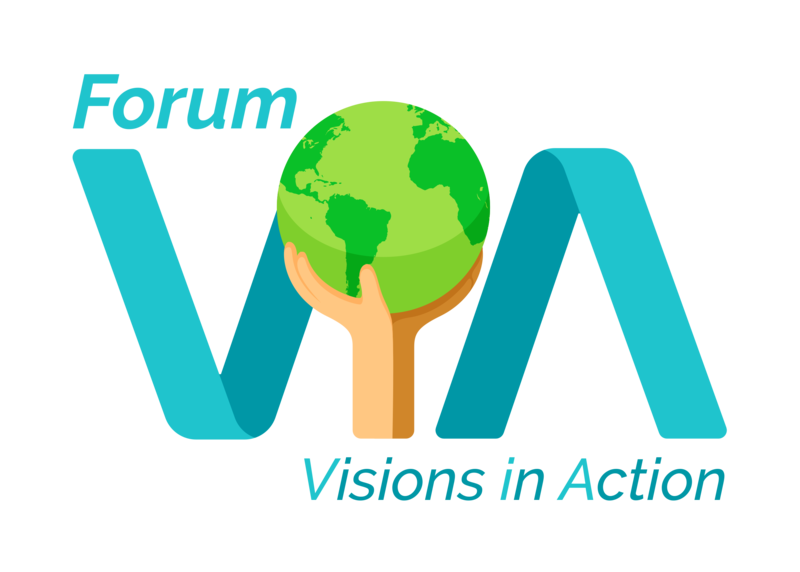 Welcome to the homepage of ViA: Forum for Sustainable Visions in Action! ViA is an incubator for new and existing visions for the future and a global platform for sustainable approaches to lifestyle, the economy and work. Through interactive work with youth and young adults, ViA aims to shed light on the global challenges of our time (economic crisis, biodiversity loss, environmental degradation, climate change, etc. ), as well as promote a constructive and proactive approach to overcoming these challenges. This contributes to reaching the Sustainable Development Goals (SDGs) set by the United Nations til 2030. “When I hear, I forget. When I see, I remember. When I do, I understand”. Once more ViA lets you experience sustainability first hand: For the BOKU Nachhaltigkeitstag 2017 (BOKU Sustainability Day) we offer a full day of fascinating simulations: Come and get to know abstract issues like exponential growth, the tragedy of the commons, or the importance of feedback loops by experiencing them in a game-like setting. 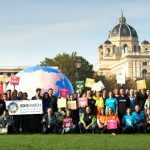 January/February 2017: To reinforce efforts for the implementation of the UN Sustainable Development Goals (SDGs) on a national and international level, we followed the initiative of the NGO “Globale Verantwortung” (Global Responsiblity) to address our concerns and provide concrete suggestions to the Austrian Government. Our letter, as well as the reactions of the Chancellor, the Federal Minister and the Ministry of the Interior, can be found here. Together with the Leihladen Vienna, SOL and ERDpapiere we played the “Hectar Game” and experimented on the topic of “resource use and resource distribution”. With this event we were happy to contribute to the European Sustainability Week as well as the Austrian Aktionstage Nachhaltigkeit. As part of the interactive environmental documentary “Our Beloved Treasures” broadcast by the Franco-German channel ARTE, we interviewed Valentina’s Italian uncle – who was a fisherman for decades in southern Italy – and sent it to ARTE. You can see the interview in ARTE’s film. Unfortunately, the video is no longer available on ARTE’s website. Check out this short video of Irene, a ViA Ambassador, as she starts her flight-free journey from Vienna, Austria to Kuala Lumpur, Malaysia! Irene adopted a class at the Rosasgasse High School in Vienna and focused on the link between human rights and sustainability throughout her journey. The Choose Your Own Sustainability Adventure project is being evaluated! Via the GO Eco-Social Master’s Theses Portal (in German) of the Eco-Social Student Forum (ÖSSFO) Miriam Bahn, a master’s student of social ecology at the Vienna branch of the University of Klagenfurt (Austria) found a topic for her master’s thesis which will have a direct impact on how we carry out our project in the future. Over the coming months Miriam will be conducting her research and interviewing stakeholders regarding the project and how it promotes and achieves the objectives of the UN Decade on Education for Sustainable Development. We look forward to working with her and reading the results of her research!